A plague of winged demons assaults the land, and brave heroes are needed to assault their home and end their pillaging sorties upon the people. The foul monsters seem to live in a weird spire of stone – there are two gaps in the structure from which they stage their raids, one only 15 feet above ground level, the other a good 30 feet up. 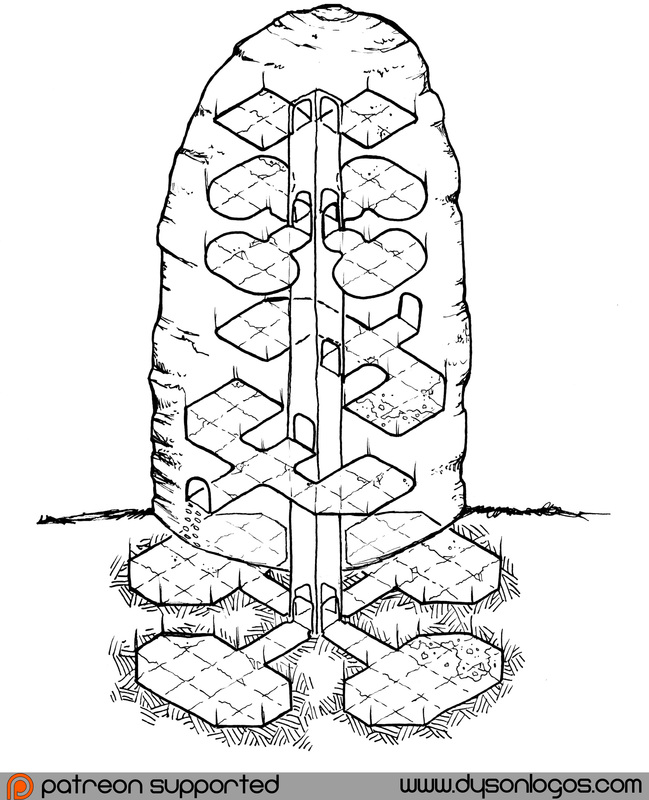 More concerning to adventurers who come here unprepared is that the many parts of this strange demonic hive are connected by a square vertical shaft with almost perfectly smooth walls. Chambers sprout from this central structure at various levels, containing a mix of the foul demons, their loot and prisoners, and maybe even hints at who summoned these foul beasts in the first place. That is going to be a challenge to explore. Great work as always.